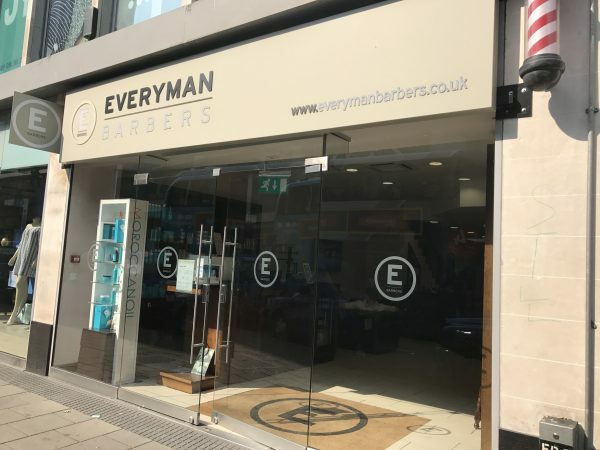 Everyman Barbers is the home for today’s modern man. They offer a range of services for men who know what they want, how they want to look, and how they want to feel. They’ve kept many elements of a traditional barber shop and modernised certain aspects to suit the needs of men today. They ensure all customers receive quality over quantity, which starts with them having a team of vastly experienced talented barbers who deliver people to people service with honest advice and proper barber banter. Everyman Media offers a combination of free wifi gaming stations and non stop rolling live sports. And did we mention their Everycam? With a simple click you can check how busy they are in the store before you visit. To that end, Everyman aim to provide a service that will energise their customers, who will enjoy the experience and be motivated enough to pass on the good word to friends, family and work colleagues. There’s the vast range of first class professional products in stock to add the final touches to an equally first class experience. And their returns policy is simple: if a product doesn’t meet your expectations, then they’ll happily give a full refund or swap for a new product anytime. Everyman offer students 20% off every Monday to Wednesday; just show them your NUS card when you check out.